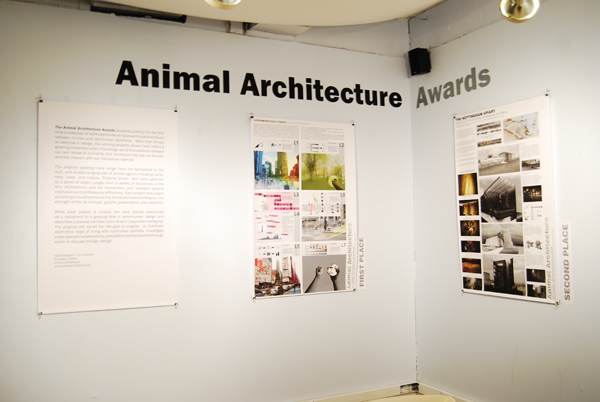 Jonathan LaRocca and Ned Dodington of Animal Architecture have just launched Urban Animal, the new installment of the Animal Architecture Awards, which this year closes in on new potential collaborations—what they call cospecies coshaping—between human and non-human animals in the density of our shared urban environments. I like this setting very much because it removes animal life from the kind of ideal, self-regulating pre-anthropocenic “nature” we are still tempted to ascribe to it, and places it right in our backyard, in the midst of complex and entangled urban ecologies and material processes. Of course, we know that the most catastrophic effects of our actions can travel the mesh of planetary interconnections in ways often hard to predict or understand (and reach far from the point of origin) but what kinds of links and alliances can be found in the most concentrated nodes of the mesh, in the places where the environmental impact of human agency is more tangible and apparent—our cities? 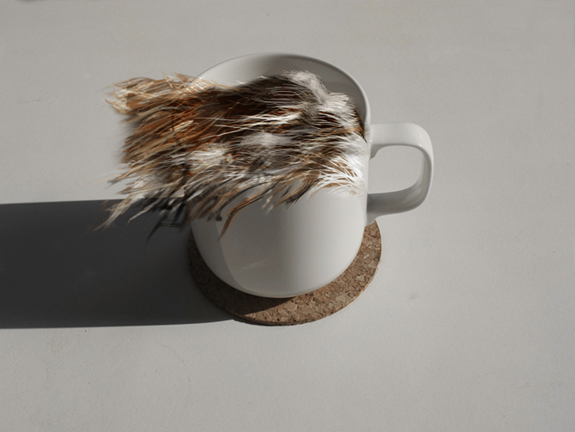 What productive and mutually beneficial relationships are in place or could be designed between nonhuman animal life and urban subjects, buildings, infrastructures, social systems? I will be a jury member along with such names as Fritz Haeg, Kate Orff of SCAPE, Christopher Hight, Susan S. Szenasy (editor in chief of Metropolis Magazine) and the Animal Architecture editors. 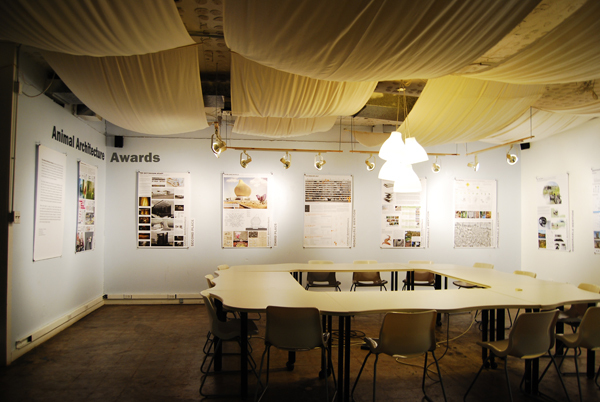 Register by 13 May 2012 to submit your work. 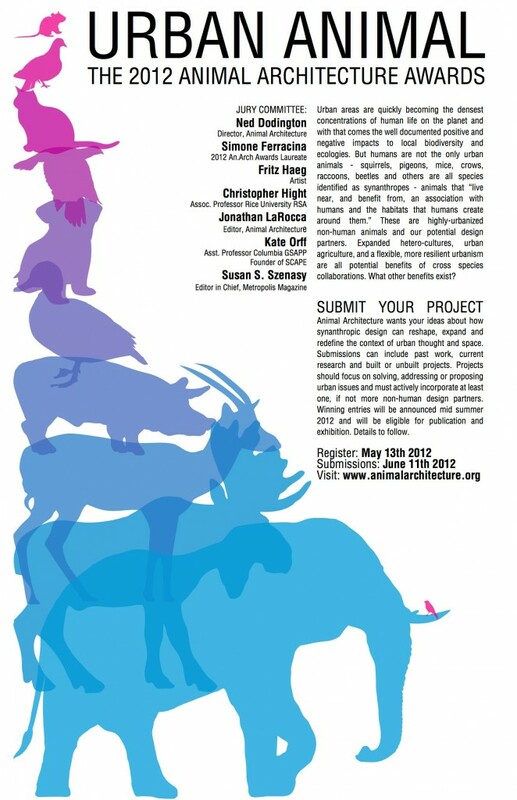 Further information, including the complete call for submissions, can be found on the Animal Architecture website. 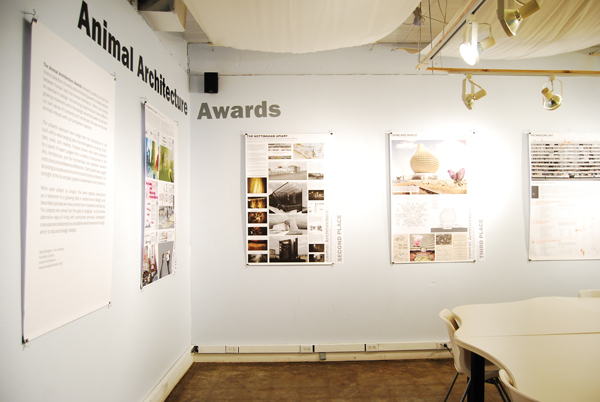 If you live in Texas or happen to stop by over the holidays, you might want to check out the Animal Architecture Exhibition, which will be on display at Caroline Collective through November 28th, and will then travel to the Architecture Center Houston (ArCH) in mid January. And if you are interested in finding out more about the Theriomorphous Cyborg project, you can read my interview with the Animal Architecture team here. Enjoy!